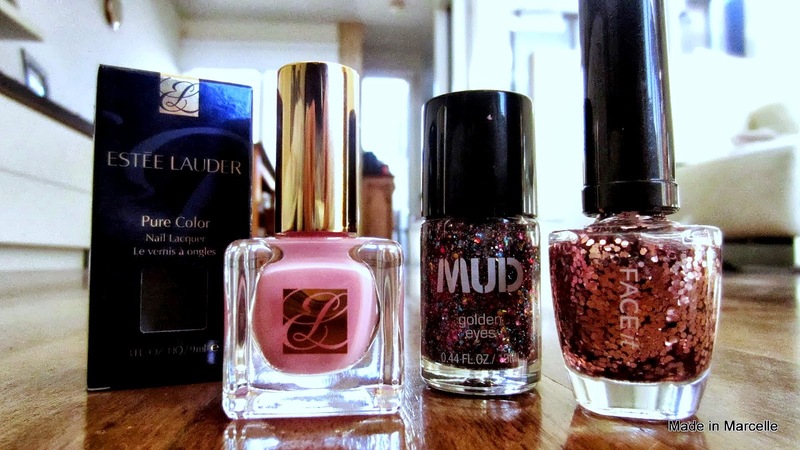 [NOTD] by C: Feeling girly with Estee Lauder - Thank you Beauty Heaven! My thumb design is an odd one. I painted it exactly the same as my ring finger but then it was peeling and sliding off my thumb as it was too thick, so I peeled the entire layer off. Then I realised that the very bottom layer was not entirely dry and so it left a cool effect after I peeled it off. So to make it look less ugly, I added some glitter. Because glitter can fix any nail design right? For today's NOTD (nail of the day), I am trying out the Estee Lauder nail lacquer I received as part of the runner up prize from Beauty Heaven. There was a nail competition on Instagram a while ago where you had to replicate a design set by Beauty Heaven, and I didn't get first prize but was pleasantly surprised to have come runner up! Here's the nail design that I did and came runner up with. The runner up prize for me consisted of one Estee Lauder Pure Color Nail Lacquer in Narcissit and one Estee Lauder Pure Color Stay-on Shadow Paint in Cosmic. The Shadow Paint reminds me of the Maybelline Color Tattoo swatched here. I hope you guys have a great week where ever you are! Have you tried any high-end nail polishes? Biggest congratulations on winning! I won one of the runner up prizes too but I got two eyeshadows instead! Can't believe i've only just come across your blog. The layout etc is so proffessional and gorgeous, aaaaah i sooo want to try this pink nail varnish. Gorgeous for Summer! Thank you so much :) Yea it is definitely the colour for summer! Cool prizes! I would love to try those Shadow Paints - I'm a big fan of cream eyeshadows :) I really like that The Face Shop glitter as well. Pink color really suits on nails. 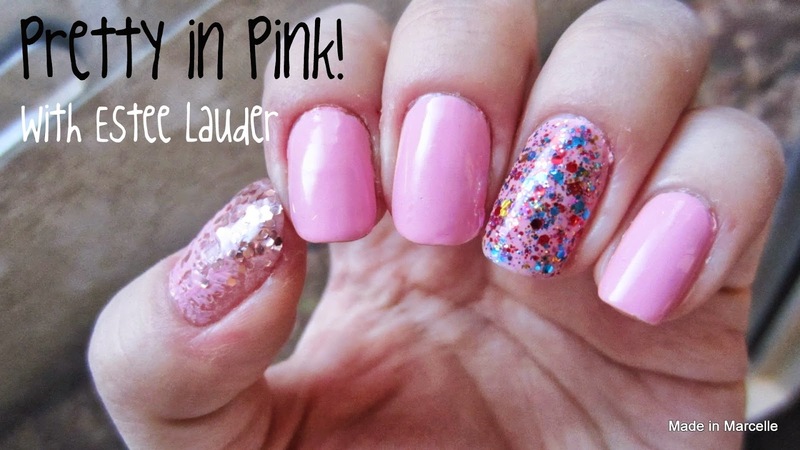 I'm also wearing a pink color on my nails and I'm thinking of trying this glitter effect on it. Thanks for sharing.